ViewRanger BuddyBeacon allows you to share your real-time location with other people and for you to view their location on your phone screen. 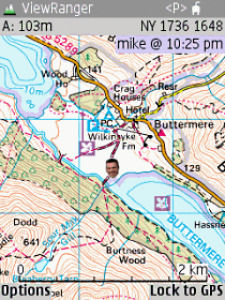 There's a web access as well to let non-ViewRanger customers track their friends and you can even link your BuddyBeacon to your Facebook page, if you want to. Of course there's a privacy control, only people that you give your PIN code to can see your location. To use BuddyBeacon you need to be a registered user. Then you can turn your beacon on and set a 4 digit Beacon PIN. This should be a number that you are happy to tell those you want to see your location. You can set the update frequency. Using the BuddyBeacon menu options - enter the user name and PIN of your friends. 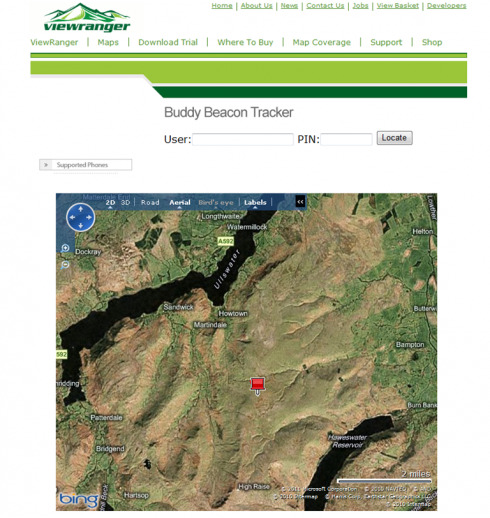 Then hit "locate now"
To see the location of a buddy, go to www.viewranger.com/buddybeacon. Enter their user name and PIN, then press locate. You'll see a map showing the buddy location. 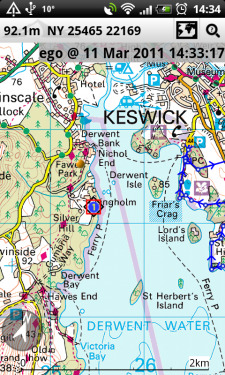 Hover the cursor over the location to see the time and date details.